Kharkiv sports fans have had relatively little to cheer following the 2016 demise of football favorites Metalist Kharkiv. However, Kharkiv Olymp Rugby Club helped restore local pride in 2017 by completing a clean sweep of all Ukraine’s domestic rugby trophies. Kharkiv Olymp won the 2017 Ukrainian Rugby Championship and Rugby Sevens Championship along with the National Cup and Sevens Cup, making it one of the most successful seasons in the club’s 35-year history. 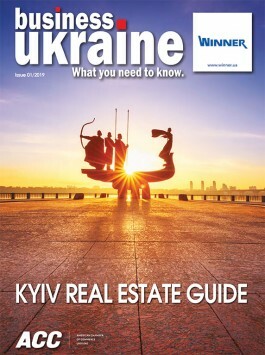 The Kharkiv Olymp story began in the last decade of the Soviet era. Established in 1982, the Kharkiv club’s dominance of the contemporary Ukrainian domestic rugby scene dates from 2005 and the arrival of businessman Oleksandr Yaroslavsky as club president along with legendary Ukrainian rugby figure Valery Kochanov as head coach. Kochanov, who also serves as the coach of the Ukrainian national rugby team, has since overseen a golden era in Olymp’s fortunes, amassing a remarkable 35 national titles over the past 12 years. Unsurprisingly, the success of Kharkiv Olymp has also translated into dominance of the country’s international side, with the Kharkiv club supplying the backbone of the current Ukrainian national team squad. Rugby is not yet a major spectator sport in Ukraine but it is fast gaining devotees. The success of Kharkiv Olymp has helped put rugby on the map in the east Ukrainian city while also attracting the attention of Kharkiv regional state administration’s Governor Yulia Svitlychna. Governor Svitlychna honored this season’s triumphs by hosting an official reception for the Olymp players in late autumn where she praised them for giving Kharkiv fans so much to celebrate. The squad received commemorative sports watches similar to the one used by Conor MacGregor during his preparations for the Floyd Mayweather fight, while the club was given a special trophy featuring the Kharkiv Olymp crest and the Kharkiv region coat of arms. This trophy now stands in the lobby area of club president Oleksandr Yaroslavsky’s Premier Palace Hotel Kharkiv, were it is on prominent display. In return, players presented Governor Svitlychna with a souvenir Ukrainian national team jersey featuring the autographs of the Kharkiv Olymp squad.